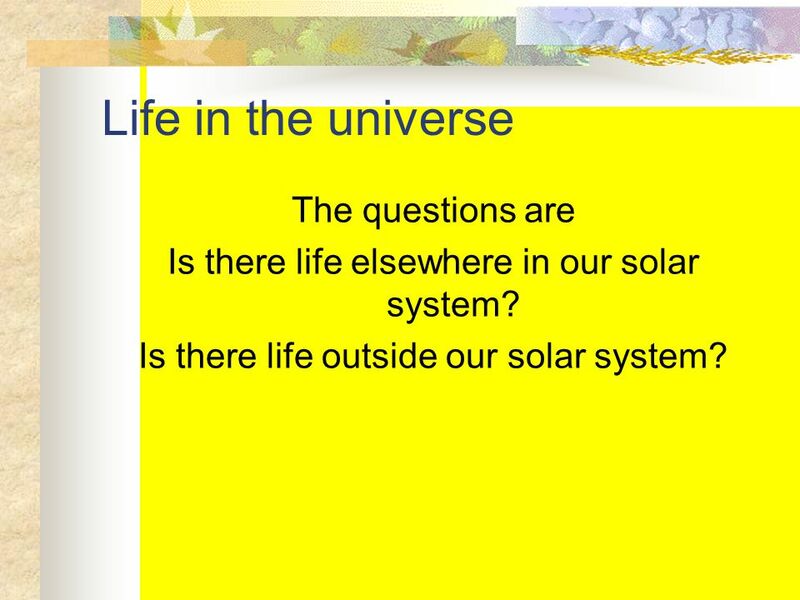 Life in the universe The questions are Is there life elsewhere in our solar system? Is there life outside our solar system? 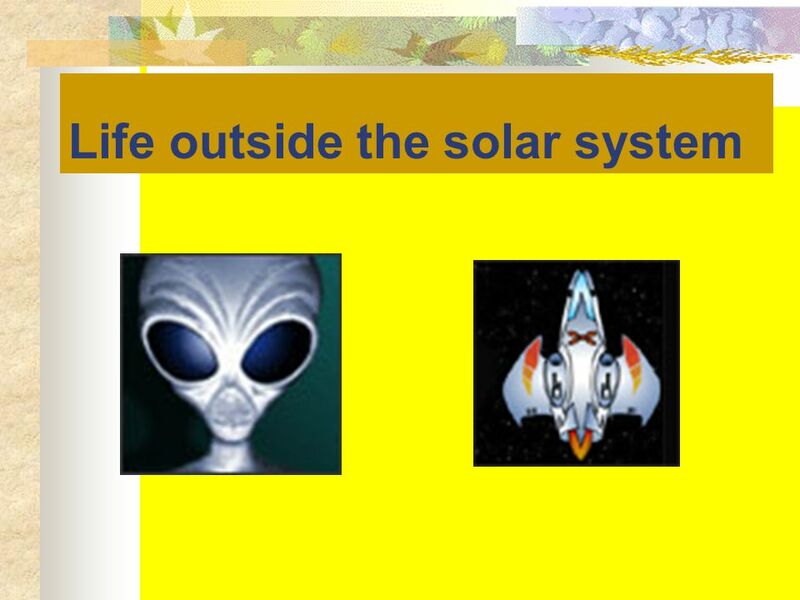 1 Life in the universe The questions are Is there life elsewhere in our solar system? Is there life outside our solar system? 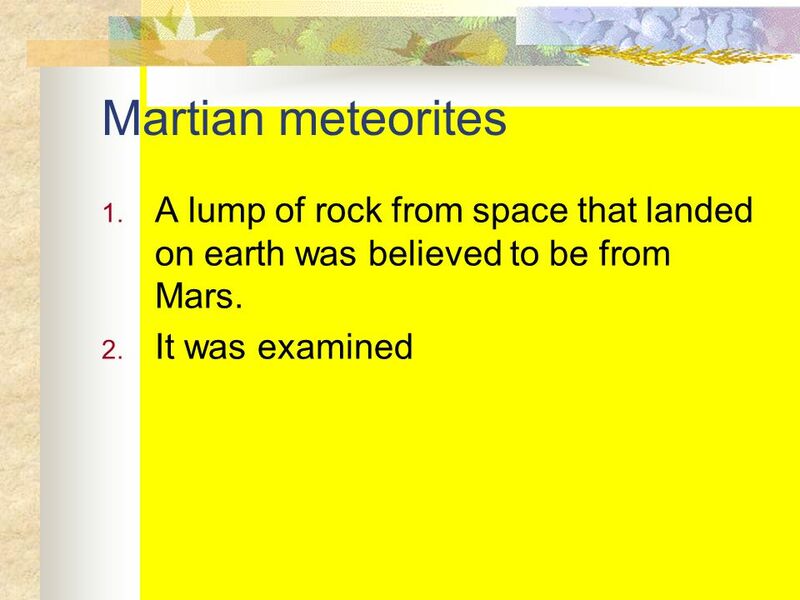 12 Life on mars? 1. 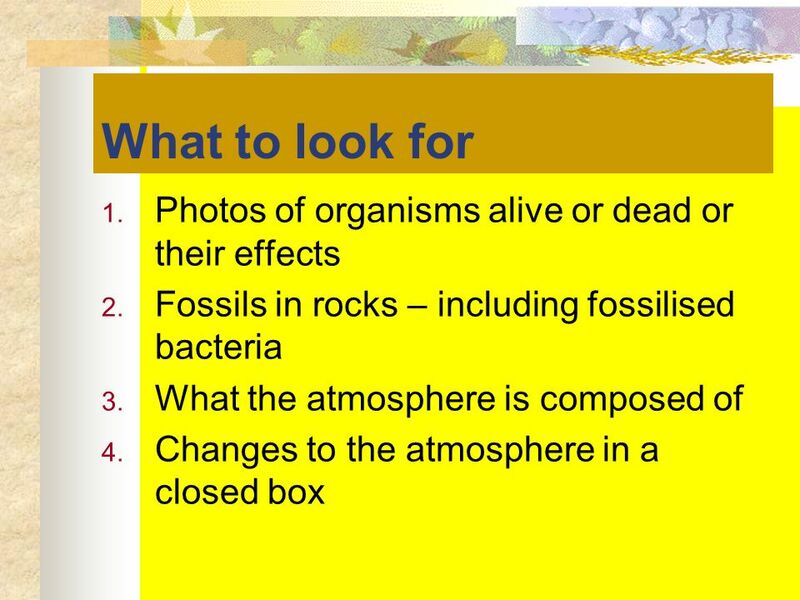 Fossilised bacteria were found in the rock 2. 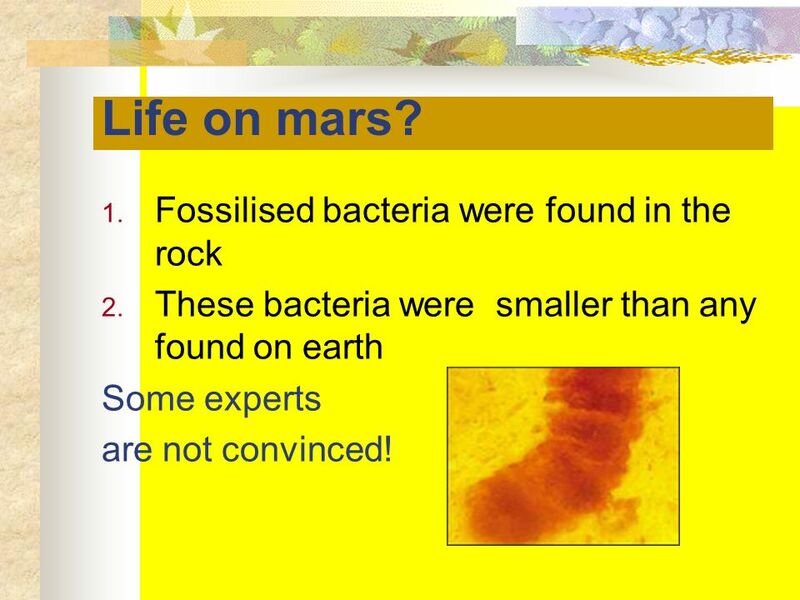 These bacteria were smaller than any found on earth Some experts are not convinced! 13 Life on Europa? 1. 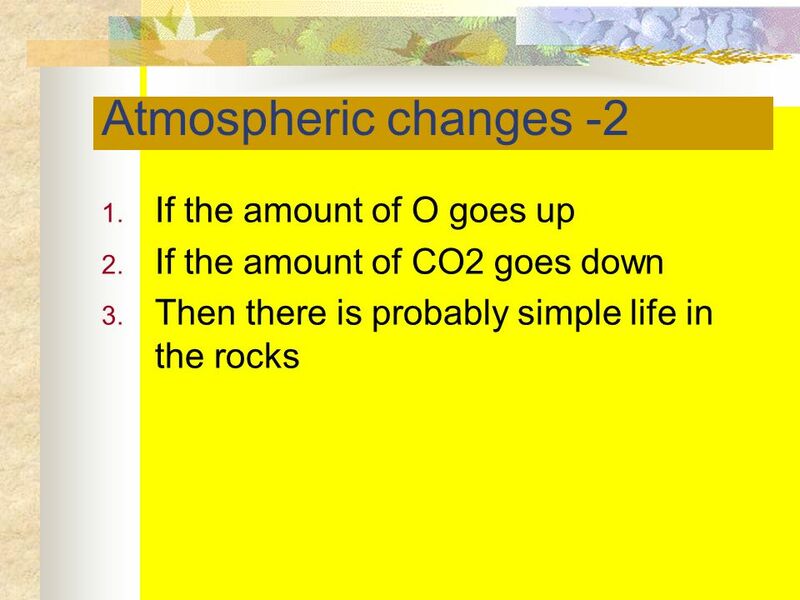 Surface temperature –170C – too cold for life 2. 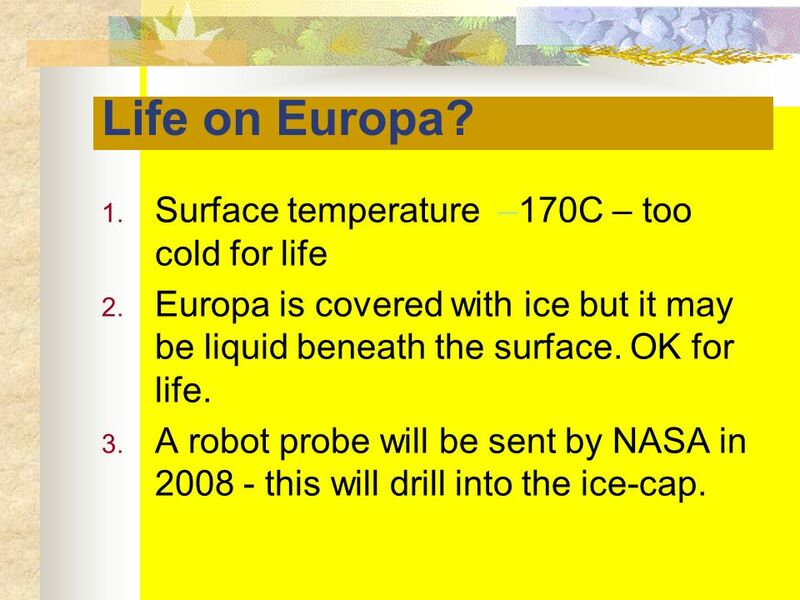 Europa is covered with ice but it may be liquid beneath the surface. OK for life. 3. A robot probe will be sent by NASA in 2008 - this will drill into the ice-cap. 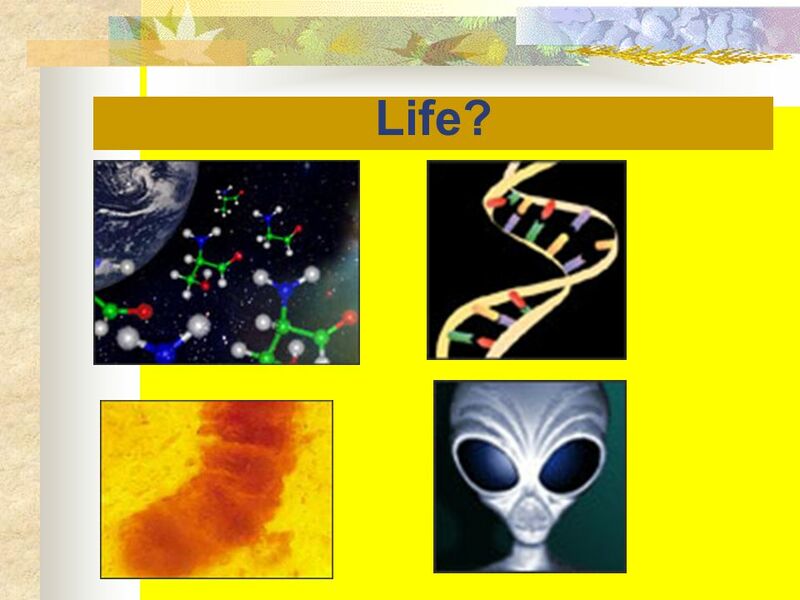 Download ppt "Life in the universe The questions are Is there life elsewhere in our solar system? 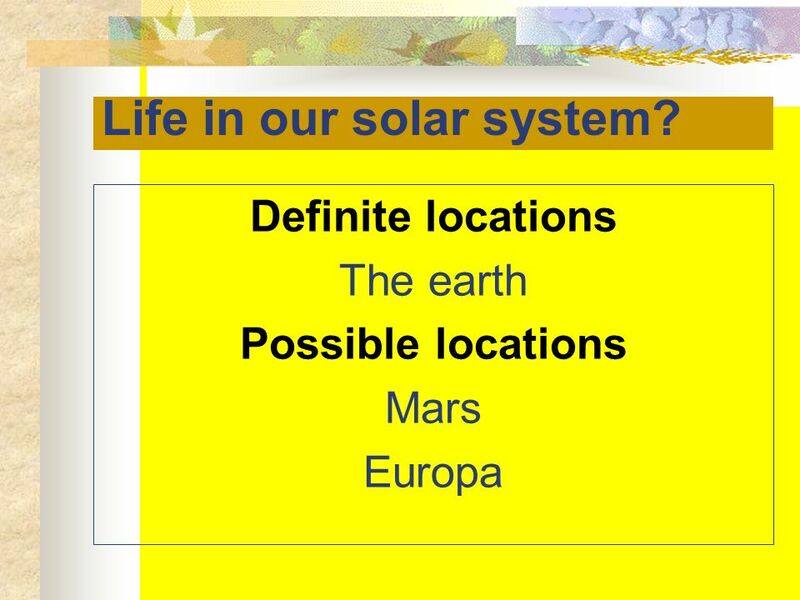 Is there life outside our solar system?" Comets, Meteors, and Asteroids Oh My!! 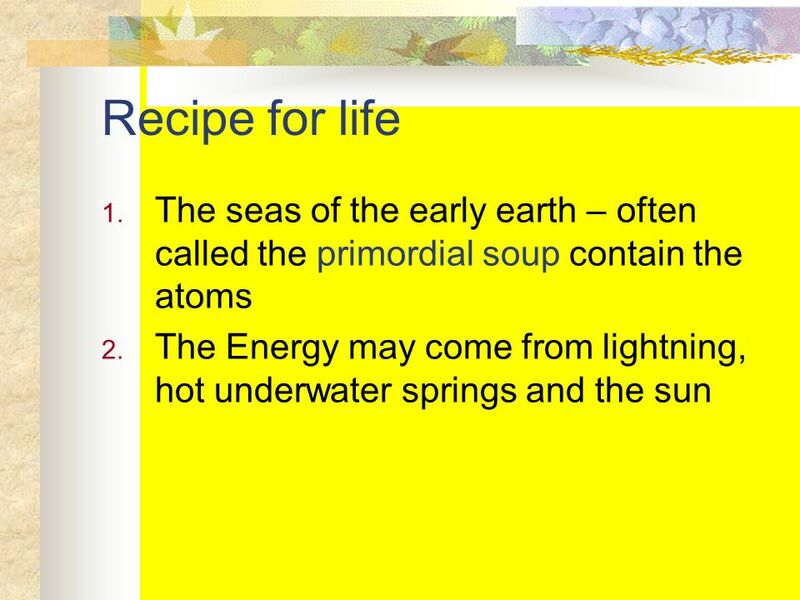 Origins of Life Physics 102 Goderya Chapter(s): online Learning Outcomes: 1,11,10,11,12. An exciting quiz game sponsored by the College of Charleston Society of Physics Students. THIS IS With Host... Your SpacecraftE.M. Spectrum Florida and Space Satellites Sci-Fi Spacecraft (just for fun) 100 Space Junk. 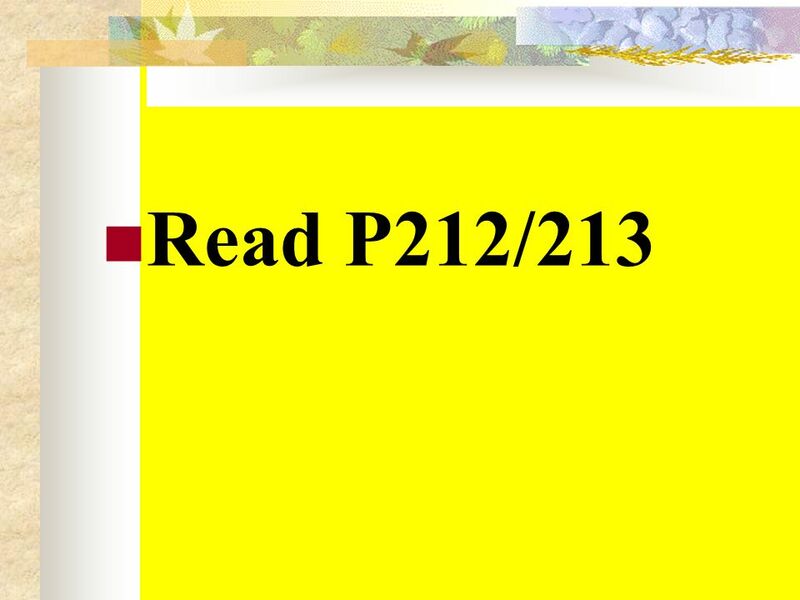 Life on Other Worlds Chapter 20:. 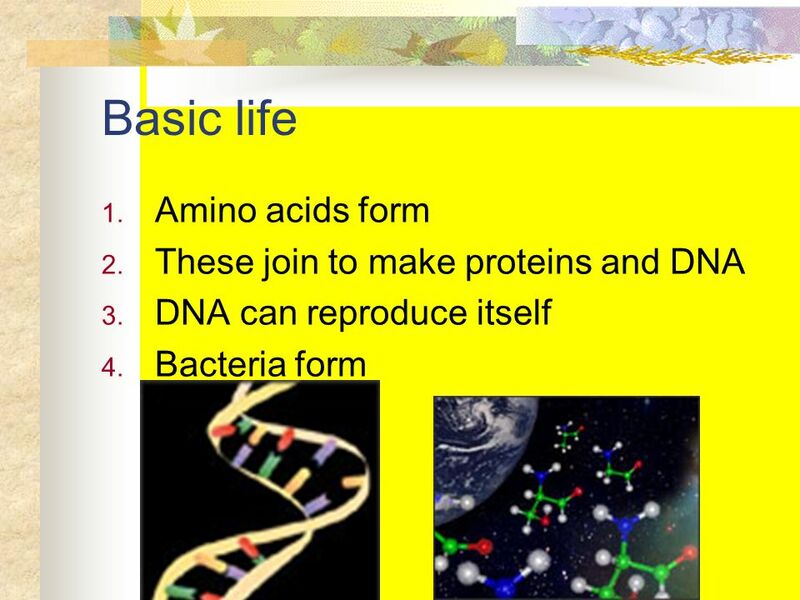 The Physical Basis of Life All life forms on Earth, from viruses to complex mammals (including humans) are based on. ISP Astronomy Gary D. Westfall1Lecture 35 Where Have Your Atoms Been? The universe was created in the big bang 13 to 15 billion years ago The hydrogen. 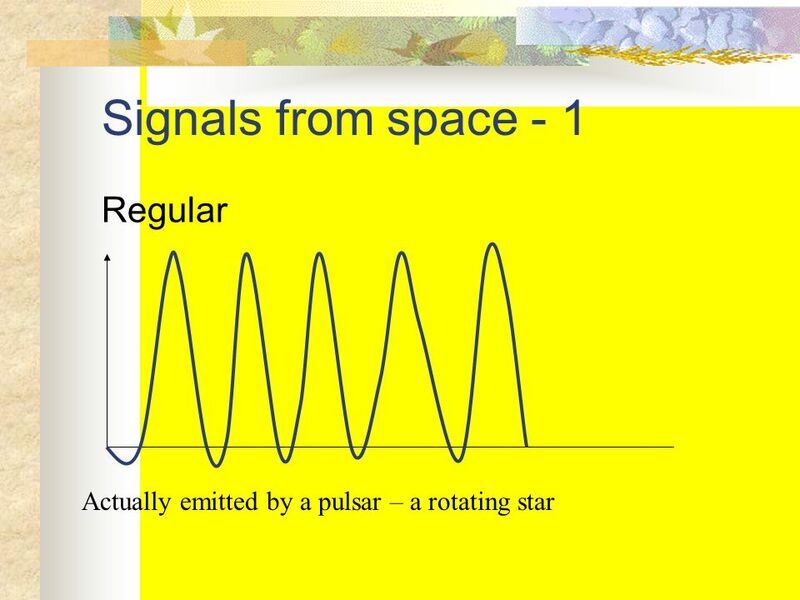 March 21, 2006 Astronomy Chapter 29: Life in the Universe Does life exist beyond Earth? In our own solar system? Does intelligent life exist? How. Are we Alone? - The Search for Life beyond the Earth. Ian Morison Emeritus Professor of Astronomy Gresham College. 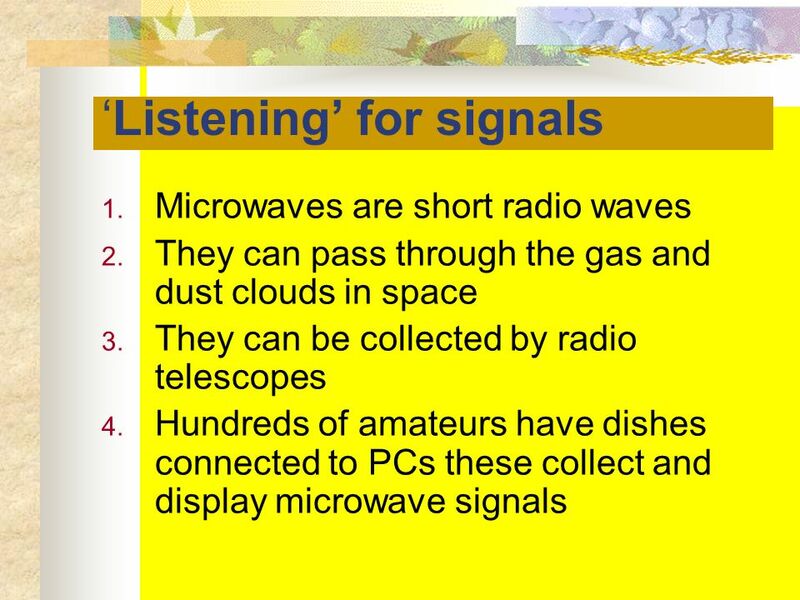 A grand summary of this course. Life in Other Worlds What is life? 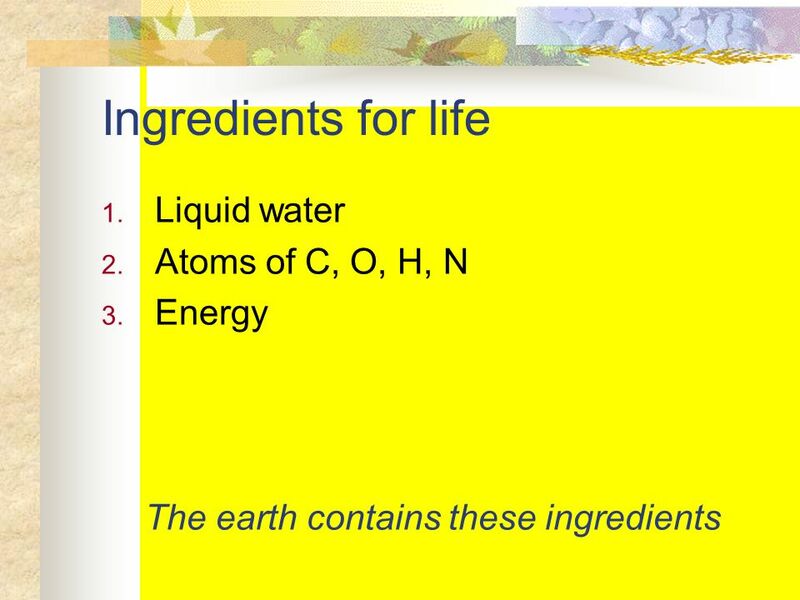 –A process of systems that are capable of extracting energy and reproducing –It could. Life on other planets Are we alone in the universe ? 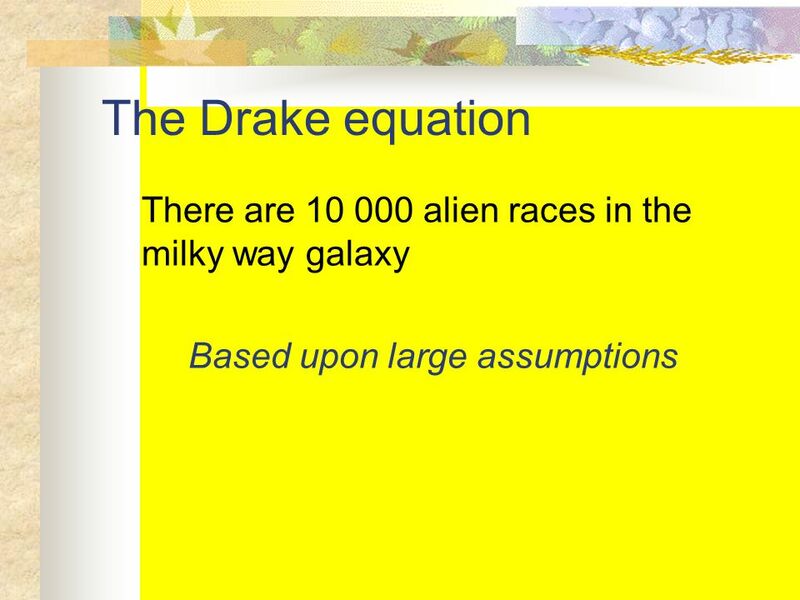 Some men were convinced to have discovered outerspaced life, but were debunked. 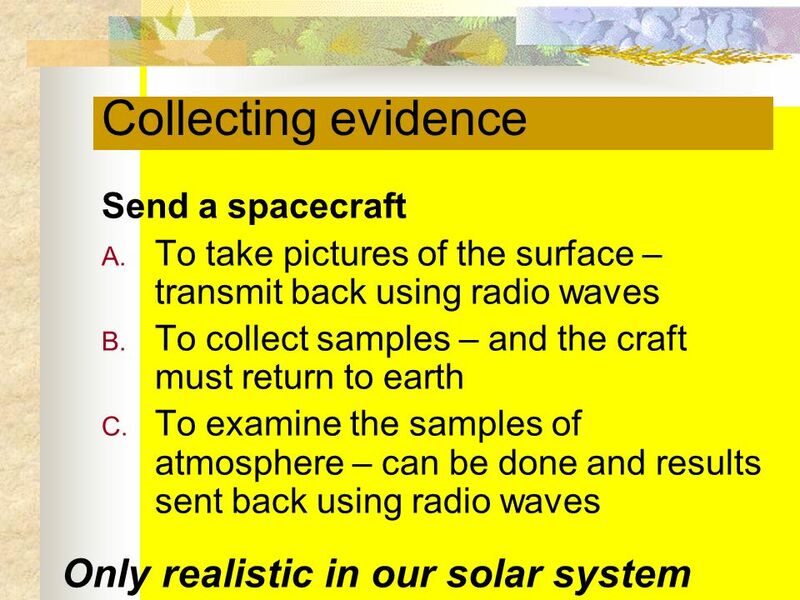 - David McKay of NASA's. 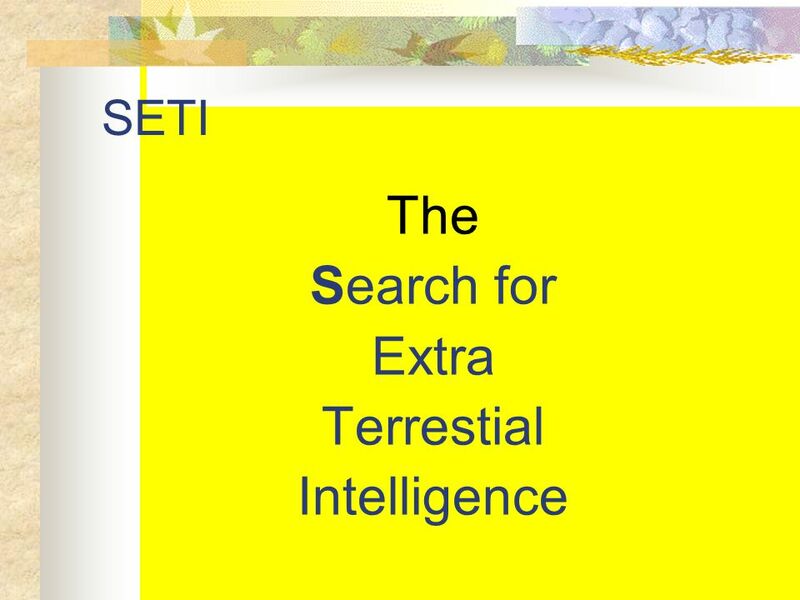 Theories Of Existence Pranshu Sanghai IX C. The Need To Search For Aliens In the past couple of decades, the study of life on Earth has revealed the existence. 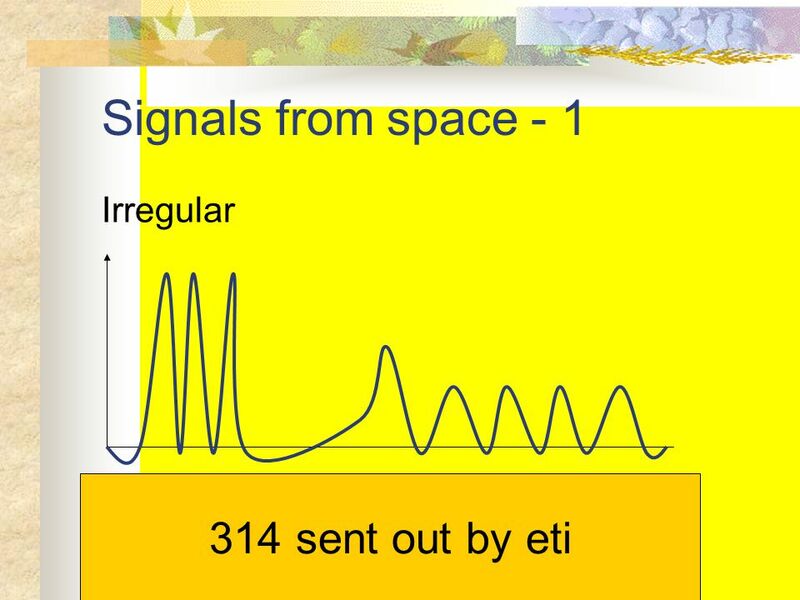 The Search for Extraterrestrial Life Chapter Thirty. 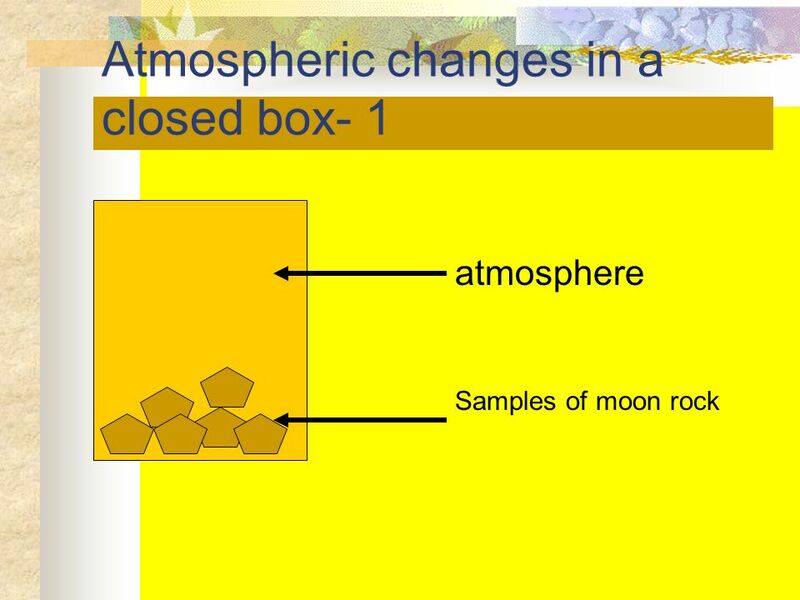 Chapter 8 Looking for Life Beyond Earth. 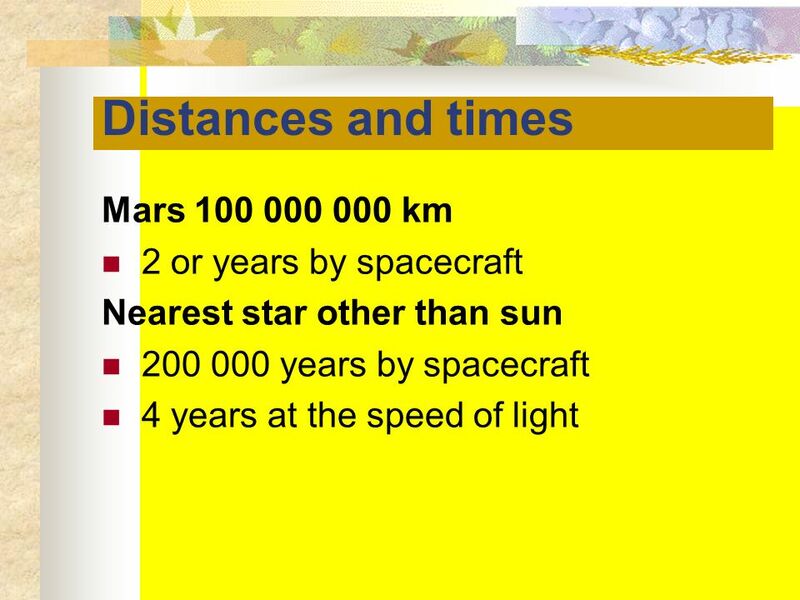 1 Life in the Universe Life is present on Earth nearly everywhere even under the most extreme conditions. Life survives in boiling hot springs and in permanently. Tonight’s Agenda. Questions ? ? ? ? ? ? ? ? ? ? ? ? ? ? ?